we bought a new camera card just in time for our trip south, which of course meant that i haven't touched the good camera in a week or so. still, life goes on. 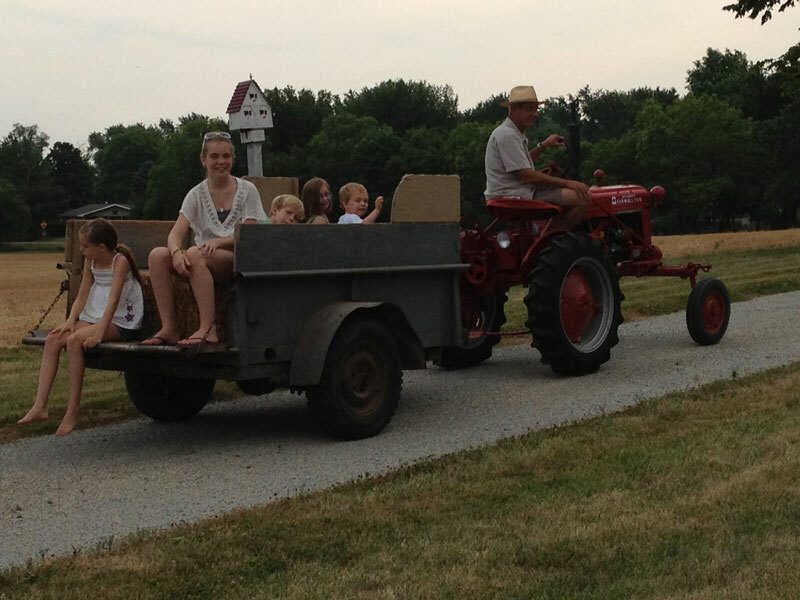 we had a great trip to the farm, dessert and fireworks with grandpa h on his birthday, and have generally been having a good time entertaining ourselves and trying to keep cool. sam is now transitioning to "quiet time" rather than taking naps, and it's going semi-okay (by which i mean that mike found sam in the bathroom playing with the dental floss today when he went to get him after quiet time was over. this was not a sanctioned activity.) i think the whole business is a little tougher on me because any time sam is by himself i have visions of him banging his head against something and requiring medical attention. i want him to be quiet during quiet time, but when it gets too quiet, i wonder if he's knocked himself out and is lying in a pool of his own blood with a concussion or brains leaking out or something equally unpleasant. in other news, the baby's room is now painted and in dire need of a good cleaning. the crib has not gone up yet, which is step one in trying to get her to decide to show up early (and by early i mean in four weeks or so and not two weeks late causing me to miss oglebay for nothing). also, mike's phone has been on the fritz off and on for the last week or so. the day it appeared to die completely was the day i thought we had completed step two of the "early baby" plan. alas, since then mike has gotten a replacement battery, and the phone seems to be amongst the living again (so much for step two). however, mike has some travel planned for work in the next three weeks, so maybe that will be the trigger. if nothing else, we can depend on him going to oglebay as a way to coax out the little kickboxer. lastly, i am making good progress on my attempts to eat my weight in melon over this summer. i am exceedingly glad that my weight is increasing if only because it means i can consume more. i figure if i'm going to look like i swallowed a melon, i ought to eat a boatload of it.